To understand how Dr. Bethany helps you, you need to know about your body’s nervous system. It’s the master controller of the body and controls every other system, such as immune, digestive and reproductive. The body’s nerve system is responsible for sending messages between the brain and body. If interfered with, your brain and body can’t talk properly. These interferences are called subluxations. Dr. Bethany works to remove subluxations with gentle adjustments, restoring communication between the brain and body. When there is no interference in your nervous system, your innate intelligence allows the body to heal itself. Although the goal is to help you achieve your greatest health and feel good, we must first make sure the brain is able to communicate with the body without interference. Thoughts, traumas and toxins, the three major causes of subluxation, are impossible to remove from our lives. It is not about how much stress we have but how our bodies react to that stress and how our nervous system’s adapt. Being adjusted regularly helps you better adapt to these stressors. X-rays. Full spine X-rays, front and side views, allow a three-dimensional look at your body. It allows Dr. Bethany to analyze your posture, vertebrae and locate problems other than your chief complaint, which isn’t possible through the use of sectional X-rays. These films set the foundation for your success. Palpation. Dr. Bethany uses her hands to feel areas of your spine, locating contour, tone, texture and temperature. It helps in locating any fixations you may have. Instrumentation. 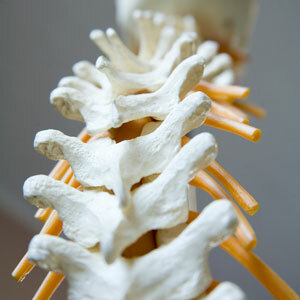 An instrument is used to compare the temperature of the spine in different areas that may be inflamed. The readings show Dr. Bethany whether subluxations are present, if they’re being corrected and when they’re fully resolved. Visualization. From the moment you walk in the door, Dr. Bethany is noting differences in the height of your ears, hips and shoulders, as well as posture and gait. We use these visualizations to confirm X-ray and palpation findings. Case Management. Your symptoms provide an important road map for Dr. Bethany to monitor your progress. We don’t just focus on symptoms but seek to find the underlying cause of those complaints. Resolving your symptoms, however, is a priority. We offer state-of-the-art digital X-rays on-site to better understand your condition. Dr. Bethany utilizes the cutting-edge Insight™ Subluxation Station to take scans of your body, including thermography and surface electromyography. These scans are appropriate for all ages, even children, and help us to evaluate how well your nervous system is functioning and how healthy you are. Enjoy optimal health, naturally. Contact us today to find out what we can do for you!